Fighting for each breath, everyday is a struggle that every COPD patient has to go through. According to the World Health Organization, more than 65 million people are suffering from chronic obstructive pulmonary disease – a chronic, progressive inflammation of lungs that leads to obstructed airflow, making it difficult to breathe. Million others are living with this disease, undiagnosed and untreated. It is also the third leading cause of deaths in the U.S., and more than 16 million Americans currently suffer from this respiratory disorder. Once diagnosed, you will have to live the condition for the rest of your life as COPD and asthma are often treatable but irreversible. While COPD limits your ability to perform everyday chores, like walking, and cooking, with full strength, good news is that it can no longer render you powerless. Advances in medical science and the establishment of respiratory rehabs have helped thousands of patients suffering from asthma and COPD proactively manage their disease and live a healthy life. 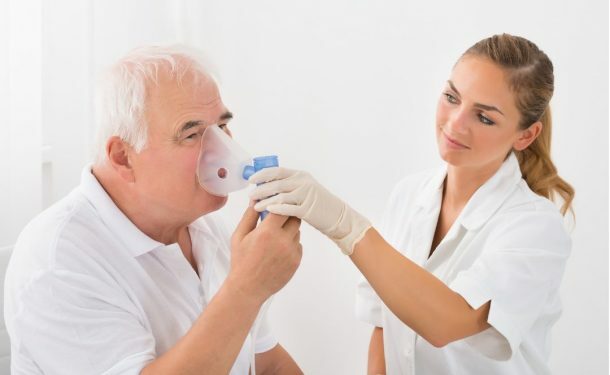 Respiratory rehabs are formal rehabilitation programs conducted by medical therapists at hospitals and health care units to improve health and fitness levels in asthma and COPD patients. 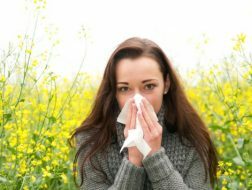 By helping you learn and practice various breathing techniques, including pursed lip breathing and diaphragmatic breathing, your therapist will teach you how to conserve your breath and stay active for longer period of time. These exercises will open up your lungs to increase their capacity and improve oxygen levels in the body. A healthier heart means better supply of oxygen with blood to the rest of the body. At respiratory rehabs, your occupational therapists will assist you with various stationary arm and leg exercises to enhance cardiovascular activity in your body to improve blood circulation and ease down your breathing process. A good diet goes a long way in keeping your body disease-free. Nutritionists at respiratory rehabs will teach you the importance of nutritious diet and small, frequent meals. By helping you prepare a customized meal plan that includes oxygen rich food, they’ll help improve the blood flow, lung function, and oxygenation in your body. Exercise may be the last thing you would want to do if you are suffering from COPD. But being overweight makes it difficult for your lungs and heart to supply oxygen and blood to various parts of the body. Similarly, asthma and COPD patients who are underweight do not have enough energy in their body to carry out even routine tasks smoothly. Exercise physiologists at respiratory rehabs can help you inculcate an easy exercise routine to help you reach and maintain your ideal weight and improve COPD symptoms. Stress can aggravate any health condition, including asthma and COPD. Your doctor can help you learn how to reduce stress in your everyday life and how regular exercise and good night sleep are the best stress busters that will work in your favor. Smoking is the biggest inducer of asthma and COPD. But how much ever aware we are, quitting smoking is the biggest challenge that COPD patients have to face. At respiratory rehabs, your doctor and occupational therapists will offer you assisted plans and regular counseling to help you quit smoking. 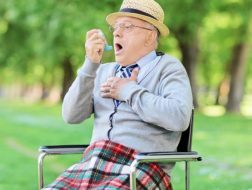 Various symptoms of asthma and COPD can be easily treated with medication. You doctor can help regularize your medicine and set up scheduled reminders and follow-ups to ensure disease-free life. Need help to Manage Asthma or COPD? If you or your loved one is suffering from asthma or COPD, we can help. At EPIC Primary Care, we provide structured respiratory rehabilitation programs to help people better manage COPD and asthma. With a certified and trained team of doctors, nutritionists, exercise physiologists, occupational therapists and nurses, we provide assisted care every bit of your way. Our integrated health care programs are fully tailored to meet your individual needs and focus on providing high quality care and affordable services to help improve your level of confidence and quality of life. Dial 248-336-4000 (Ferndale) or 313-861-4400 (Detroit) to know more about our EPIC respiratory rehabilitation program or get prompt assistance with nutrition counseling, exercise routine, and disease management. We are available 24X7 to help you life a healthy, disease-free life.